Friends, its November! Halloween is here, Thanksgiving is 4 short weeks away and the holiday season is upon us. I for one love this time of year. I love making gifts for family and friends, cooking up delicious meals and spreading Christmas cheer (by singing loud for all to hear, of course). All morning Max kept telling me we needed to get packed up to go to Nashville since it was Thanksgiving time. Not yet buddy, not yet. 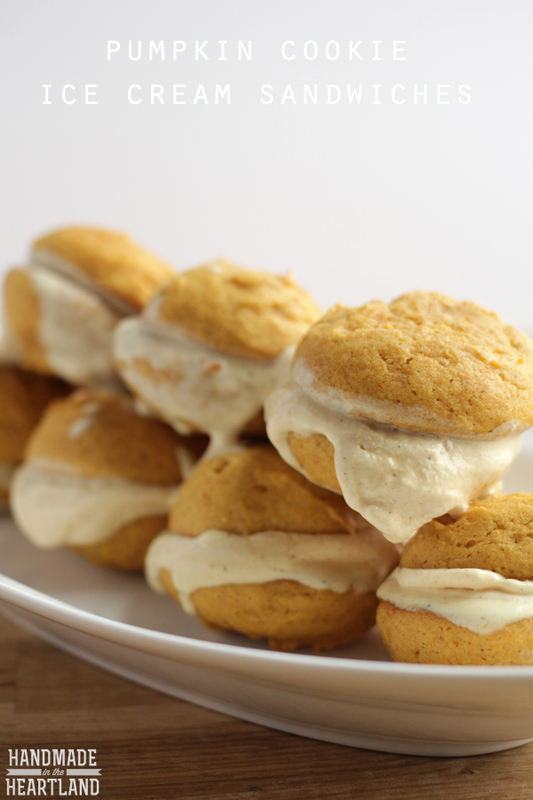 Are you thinking about yummy treats to have at your Thanksgiving feast? I’m kind of funny- I love pumpkin baked goods but I’m not a super big fan of traditional pumpkin pie. I think it might be the texture, but I’m just not a huge fan. 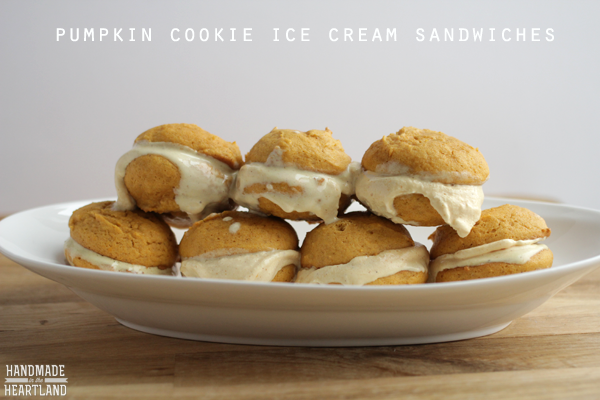 So if I’m in charge of a dessert this year (which lets be honest I always make a dessert) I’ll be bringing these delicious pumpkin cookie ice cream sandwiches. 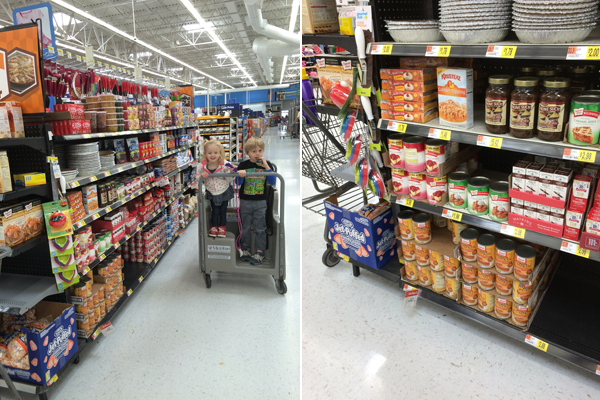 I picked up the standard in canned pumpkin- Libby’s 100% pure pumpkin- at Walmart, they have a very convenient holiday baking section in the middle aisle where you’ll find it. 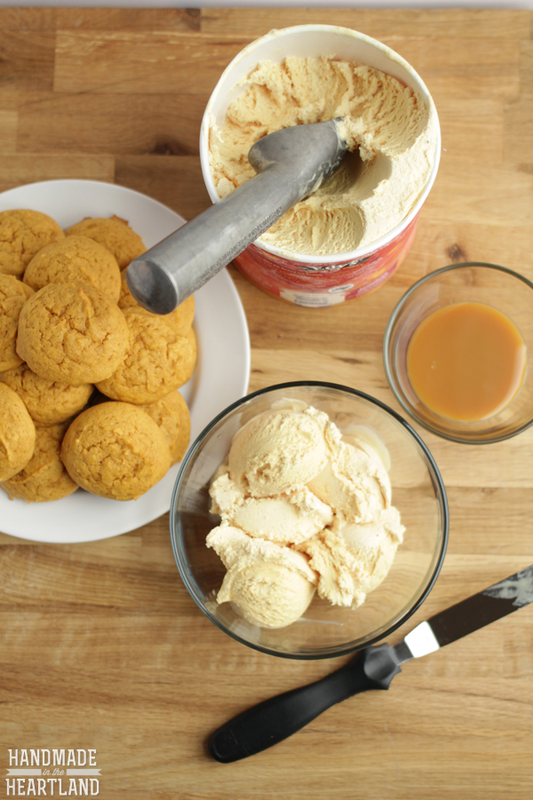 I also grabbed some of Edy’s limited edition pumpkin patch ice cream to go perfectly with my pumpkin cookies. yum. 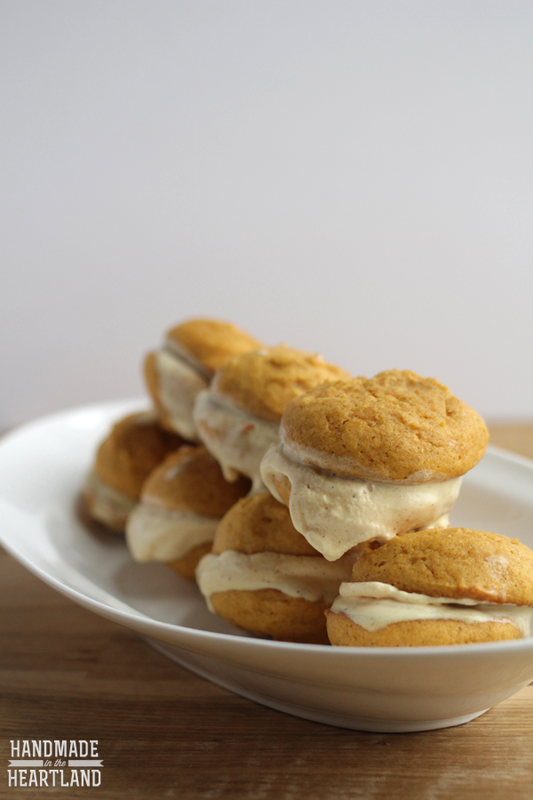 You can obviously just make these cookie to enjoy, they are delicious all by themselves but if you want to really kick it up a notch make them into ice cream sandwiches like I did. 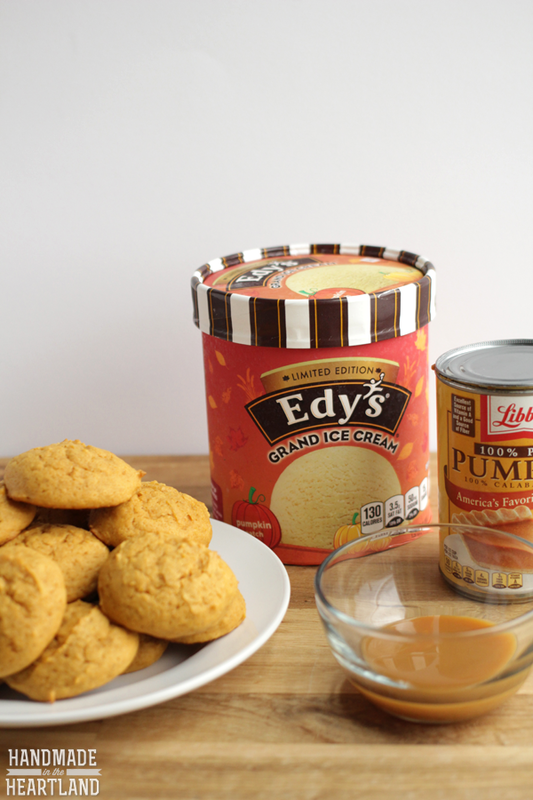 All you need is Edy’s pumpkin patch ice cream, your cookies and some caramel sauce for good measure. 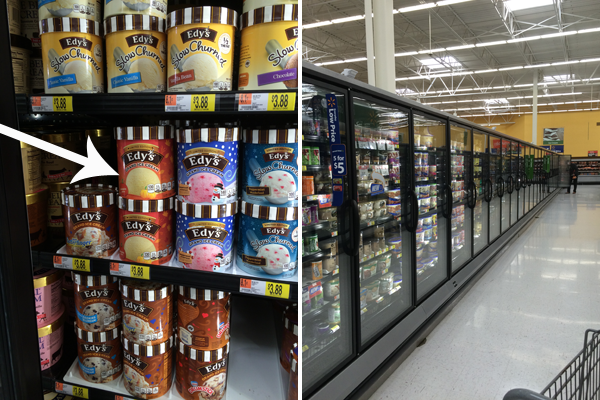 Scoop out a couple scoops of ice cream into a bowl and put the container back in the freezer. Have a plate ready in the freezer so that you can put your sandwiches on the plate one at a time as you finish them, as you can imagine the trickiest part of this is making them with the ice cream soft enough but not too melty. Preheat the oven to 350. In the bowl of a stand mixer beat the butter with the paddle attachment until smooth. Add the sugar and mix until combined. Add in the baking soda, baking powder, salt & pumpkin pie spice and mix until incorporated. Next mix in the egg, vanilla and pumpkin. Last add in the flour and mix until everything is combined well. 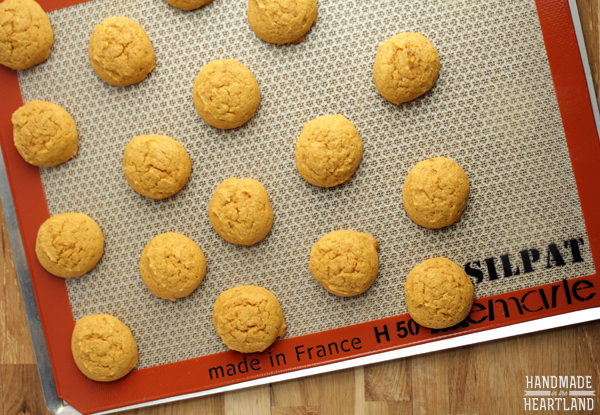 Scoop out about a tablespoon of dough onto your silpat lined baking sheet and bake for 11 minutes. (10-15 depending on your oven/elevation etc.) 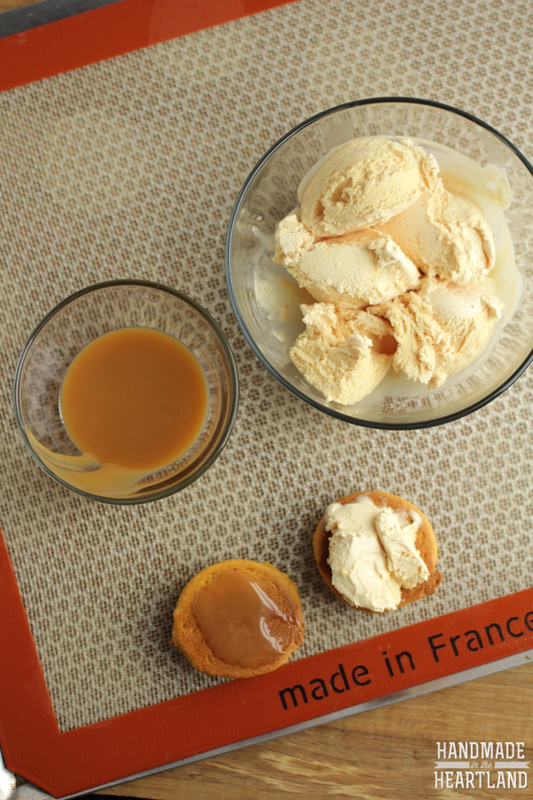 Let cool and then enjoy! 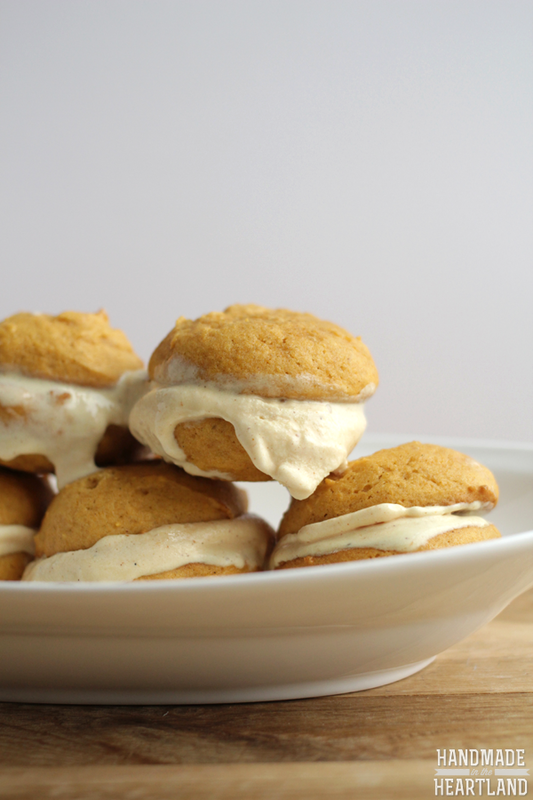 What is your favorite pumpkin dessert? 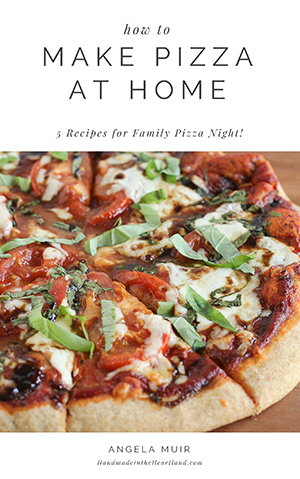 There are SO many delicious ones out there, I’d love to hear your families favorite in the comments. I made a fun instagram video showing how to put one of them together. enjoy!